We Build Businesses Which Create Value And Generate A Revenue Stream Of Dividends. Crest Finserv Limited (CFL) formerly known as Tullett Prebon (India) Limited is an inter dealer broker primarily operating in the Wholesale Debt Markets, Foreign Exchange Markets, Interest Rate Swaps and Currency Options. It has been a well known participant in Mutual Funds distribution and has an experienced Wealth Management team. Tullett Prebon (India) Limited (TPIL) has been a joint venture between Crest Ventures Limited and Prebon Holdings B.V. of Netherlands PHBV) for the past 19 years and Crest Ventures Ltd, a dominant and majority shareholder has acquired Prebon Holdings BV’s 48% stake in Tullett Prebon (India) Limited (now known as Crest Finserv Ltd) and is now holding 99.99% of Crest Finserv from 25th July, 2018. 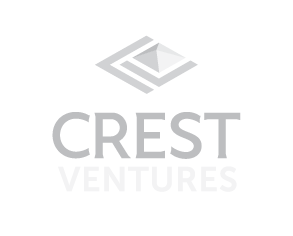 Crest Wealth Management Private Limited is a SEBI registered boutique Investment Company. We provide investment management services for family offices and high net worth individuals with a focus on superior risk-adjusted returns.The company is led and guided by an experienced team with over 100 years of asset allocation experience in the Indian capital markets.